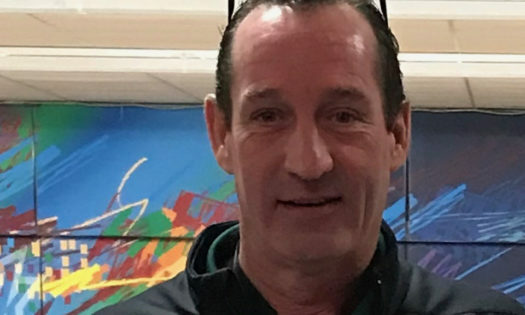 Saint Patrick High School is proud to announce that Dave Habetler has been named the new head coach of the Varsity Bowling team. Habetler, who was an assistant coach for the Shamrocks this season, and his family have owned and operated Habetler Bowl in the Jefferson Park neighborhood for over 50 years. His son, Bobby, a freshman at St. Pat’s, bowled on the varsity team that finished 17th in the state. Habetler will take over for Head Coach Peter Dougherty. Dougherty, who has held the position since 2006, is retiring at the end of the school year. During his tenure, Saint Patrick sent a team or individual to the IHSA State Finals nine consecutive seasons (2007-2015) and 11 times overall, including the past two seasons (2018, 2019) with their highest state finals finish coming in 2014 (11th place). No other school in Chicago, public or private, has sent more teams to the IHSA State Finals since the 2006-2007 season and only six schools in Illinois have sent a team to state more times in those years. With a program that included 10 freshmen this year, who are all expected to return, along with Assistant Coach Joe Netzel, father of All-State bowler Joe Netzel ’11, returning for his 12th year, and Habetler at the helm, Coach Dougherty is leaving the future of Shamrock Bowling in very good hands.